Filmmakers are increasingly turning to camera-equipped drones to film aerial shots. Here, a German expert gives us the 400-foot view of a new mode of moviemaking. Berlin-based filmmaker Christopher Kippenberger believes that quadrocopters–cheap, inexpensive unmanned aerial vehicles–are the future of sports film. Kippenberger’s firm, Kippenberger Racing, specializes in aerial photography of auto races and of cars in general for outside clients. The company’s business model is simple: Aerial filmmaking via helicopters is expensive, but aerial filmmaking via drone is cheap. 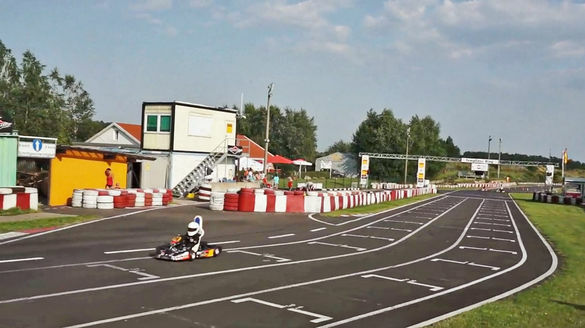 One of Kippenberger’s latest videos, produced in collaboration with eGarage, takes a look inside Germany’s child go-kart subculture. While conventional cameras were used for the on-the-ground portions of the video, a UAV was used for the awe-inspiring aerial race segments. The FAA is debating offering guidelines for drone operators in the private sector by 2015, and European regulators are meeting on February 9 to iron out rules for UAVs in EU airspace. Domestically, lobbyists are petitioning the agency to give wide leeway to the use of unmanned aircraft for commercial photography, videography, and surveillance purposes. At the same time, lobbyists for occupations that stand to lose business to drones such as commercial pilots are petitioning the FAA to restrict drone use as well. Colin Guinn of DJI Innovations, a Texas-based retail UAV manufacturer, told Co.Create that FAA regulations generally permit hobbyist drone use when they are flown below 400 feet, and within the UAV operator’s line of sight. For commercial drone camerawork inside the United States, industry sources told us that use is largely at the de facto consent–or benign neglect–of local law enforcement. Use of UAVs for filmmaking is generally easier on large private lots or in rural and exurban areas with fewer space concerns. In certain localities such as Los Angeles and New York, authorities have actively interceded to shut down drone filmmaking efforts due to concerns driven by safety or terrorism. Kippenberger Racing uses a customized quadrocopter which requires two employees to operate. The filmmaker’s drone hardware consists of a GAUI GU-INS flight controller, carbon fiber blades, lithium-ion battery packs, and a custom camera mount. UAVs can even be used for indoor camerawork. 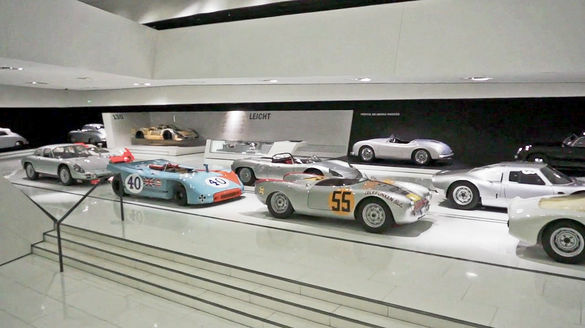 In the promo clip above (see slideshow) for German car magazine Ramp, Kippenberger’s drone was deployed for several indoor shots at the Porsche Museum in Stuttgart, Germany. The drone was used for sweeping panoramic shots of the museum floor. The idea of UAV-centered filmmaking centers around demolishing the high costs of aerial videography. Helicopters, for a variety of reasons, are prohibitively expensive for everyday filmmaking use. High fuel costs, high rental and purchasing fees, hiring costs for pilots, liability concerns, and noise concerns give outsiders a high barrier of entry. By comparison, UAVs offer a similar quality of aerial vehicle for under $5,000 initial cost; most people can also learn to fly most UAVs on the retail market 12 hours after they have begun practicing. Another video the agency worked on tells the story of Heidi Hetzer, a 75-year-old German race car driver and a local celebrity in Berlin. Again, in this clip, Kippenberger’s UAV is used for all aerial photography. Inside the United States, drone videography is possible using commercially available UAVs such as the Parrot AR.Drone and the DJI Phantom that cost under $1,000. While the quality of videos these drones produce isn’t suitable for movies or television, they’re more than good enough for YouTube or sharing on social media. At a higher price point, photography UAVs–aimed at commercial clients such as filmmakers, real estate agencies, private investigators, law enforcement, journalists, and architects–are available such as the DJI Spreading Wings S800, the Lehmann Aviation LA100, and the Draganflyer X4P. Drone filmmaking is relatively easy, and requires no special skills. Robust digital cameras such as the GoPro are mounted onto a UAV; the UAV, depending on the model and manufacturer, is controlled either via smartphone app or a dedicated remote control. Operating a UAV is rather similar to operating a remote controlled car; most commercially available UAVs also allow users to send their vehicles to nearby GPS coordinates. Video is then saved onto the camera in .MP4, .AVI, or other formats and users conduct normal post-production and editing on their computers. While UAV filmmaking sounds like the cutting edge of technology, it has older predecessors. In 1996, aerial cinematographer Emmanuel Previnaire won an Academy Award for Technical Achievment for his Flying-Cam, a camera-equipped remote control helicopter for aerial photography. Today’s inexpensive cameradrones all follow in the path of the original Flying-Cam. Fast Company wrote about the use of drones for videomaking last year.